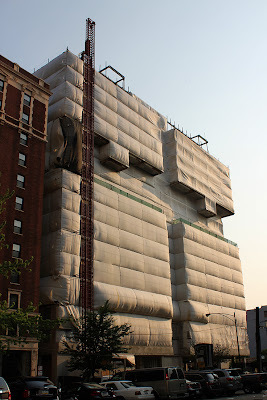 ArchitectureChicago PLUS: Pillow Fight: will River North's ghost skyscraper finally be completed? Pillow Fight: will River North's ghost skyscraper finally be completed? 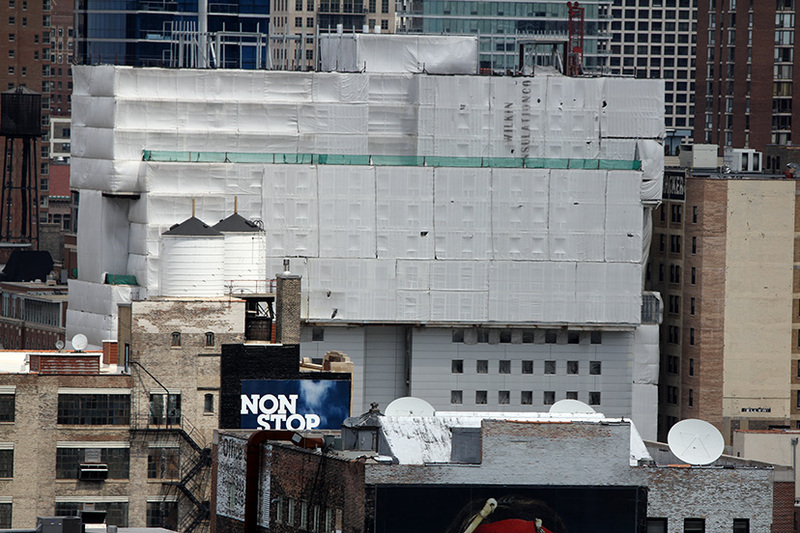 Crain's Chicago Business reported today that Oxford Capital, which owns the Felix Hotel right next door, has taken over the construction loan for Staybridge, the uncompleted Valerio Dewalt Train hotel at Lasalle and Huron that's been kept under wraps - literally - for over three years. 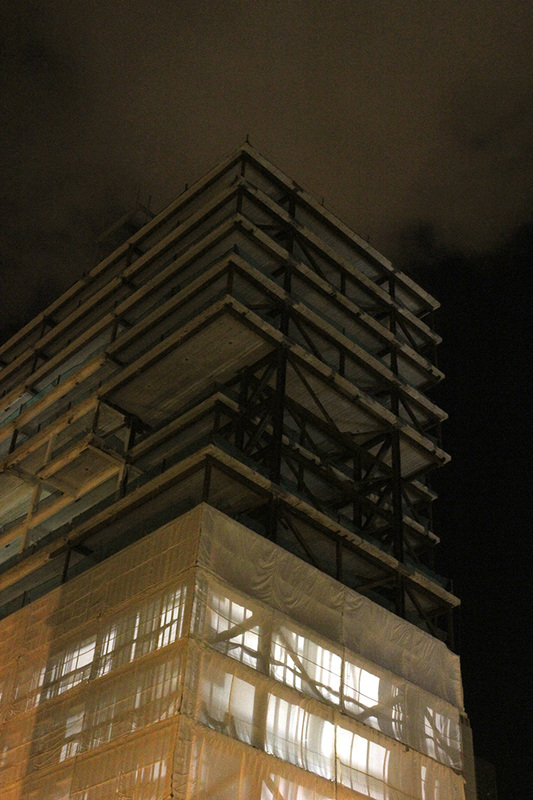 Oxford is battling for control of the property with Corporex, which bought up the general contractor's lien last year. Virgin's Richard Branson is almost reported to be in the hunt. Let's hope they all don't just cancel each other out. 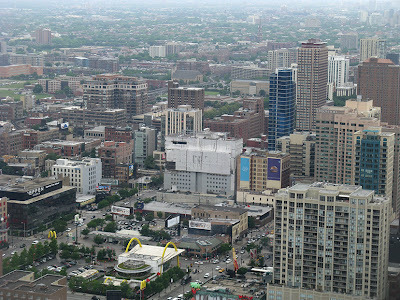 Chicago's hotel market is apparently heating up, increasing prospects that someone will take Staybridge to completion. That would be good news for Valerio's striking design, but the kiss of death for the ghost skyscraper of River North. See what Staybridge will look like when finished, and read about its innovative staggered truss frame in our piece from 2008, here.